It is just a few weeks to Christmas, right? Then tell me why I lived in that river called Denial... because I was swimming there all weekend long. Friday started off with my usual grocery trip. & I was ready to go home & unload the groceries when Ricky called & said he didnt get a lunch or break of any kind all day long so he was starving - & he asked me to drive over & meet him at Topp't to eat dinner. Luckily, it was freezing outside so my groceries would stay ok.
... & that may be the only time in my life I say, "Luckily it was freezing outside...."
It was just what I needed, all the caffeine, to keep me up & going through the night. I was determined to finish my last engagement session. I did the job too... & ended up not going to bed till after 1 am. Saturday, I got to sleep in, but not really when I think of what time I went to bed. Poor Ricky had to go to a friend's funeral. It was a coworker that had been fighting brain cancer the past few years. Ricky was so devastated about his passing. He told me to stay home & work on wrapping presents & I had one job I knew I wanted to do.... tackle health insurance & make a final decision. 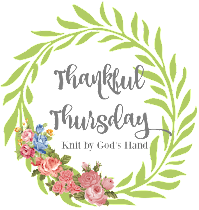 OH MY GOSH.... You know I've talked about it here last week (& thanks for all the input & thoughts you gave me)... I did make a decision that I'll talk about later in the week, but let me tell you - I was so dang stressed out making that decision. I had spreadsheets & notebooks & questions & phone calls happening - it was like I was in the hub of some CIA division trying to track down a terrorist. Nope - just picking health insurance. By the end, I was so stressed, I had Ricky stressed - I think the dogs were even stressed. & then with my stress.. & a University of Kentucky basketball game on, I said forget it - I'm giving up on the day. Forget Christmas is nearing. Forget anything & everything. I basically stayed in my pajamas until I took a shower & put on new pajamas. My biggest accomplishment of the day? Getting some pictures taken & posted on my Etsy store for some hats I had finished. ... more than I thought I'd accomplish. Oh... I did accomplish something else - I got my new computer updated. YAHOO. But it was basically me & You've Got Mail on a Saturday night. Exciting stuff. Sunday had us heading to church & I was so beyond excited about today. Our friends Ryan & Chasity came into MSM with us today... they are ready to serve in middle school ministry!!! We all used to serve together at our previous church & it just feels right having them there with us... & more importantly, I'm so excited for the kids. They are going to LOVE these two. They both have such amazing God given talent to mentor & teach teenagers. I honestly am so excited they are going to be part of this amazing group of leaders & this wonderful church to reach & serve. Church is so special this time of year. I'm glad to get my Christmas mojo back after a day of checking out. 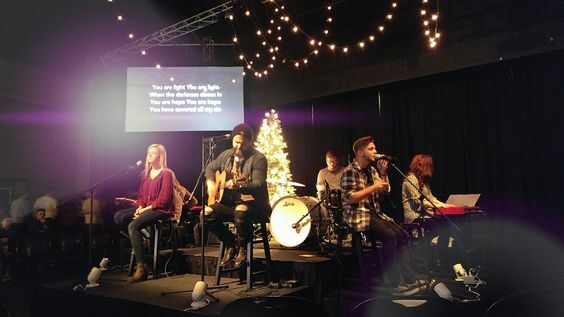 Singing Christmas songs - hearing messages about Jesus birth - it just feels so cozy & warm. Even the set in our MSM was set up so beautifully for the season. 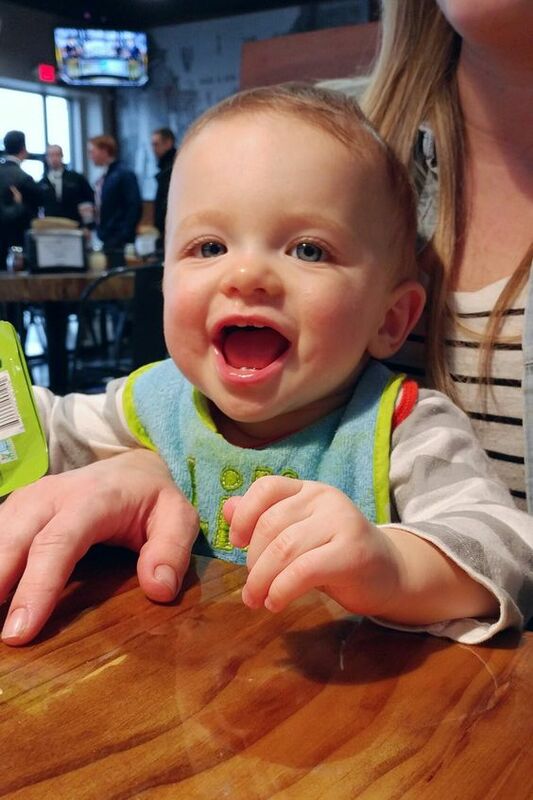 The good thing about having our friends with us - we were able to snag them for lunch after service. & I got so many smiles & hugs & kisses from these babies. Goodness... I love these babies. 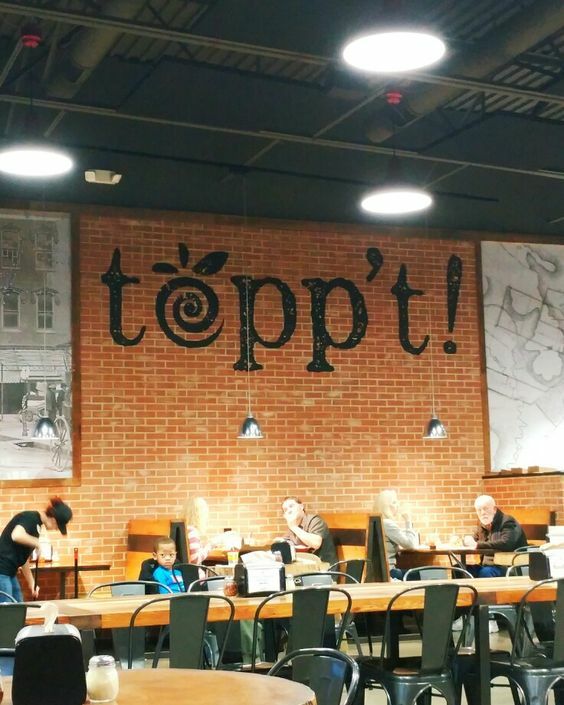 & if you didnt guess - we ate AGAIN at Topp't. If you lost count, we've eaten pizza at this place 3 times in a week. Yeeahhhhh.... so worth it. We had to run on the way home at Target. Anyone else take advantage of the 10% off gift cards? Ricky went & bought some gift cards before we went shopping. He's always thinking. & then we stopped at Starbucks to end the weekend just as we started... & it made me finish up the Star Dash for the weekend. I never finish the Star Dash. I felt like a goal had been met! 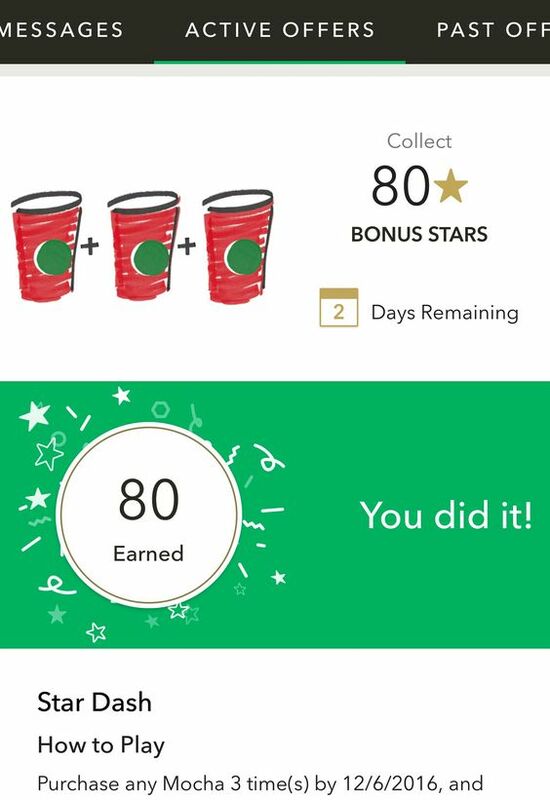 & YES to 80 extra bonus stars. Chalk one more free drink for me! I should be concentrating on Christmas but got home & said, I've done so good at ignoring it most of the weekend, why not get back in that mode. I worked on taking more pictures for a few other knitted goodies & posted them up. & then its time to buckle down & get ready for another busy week. One that is going to have me WAYYY behind in marking things off the Christmas to-do list. I blame health insurance for ruining Christmas for me. 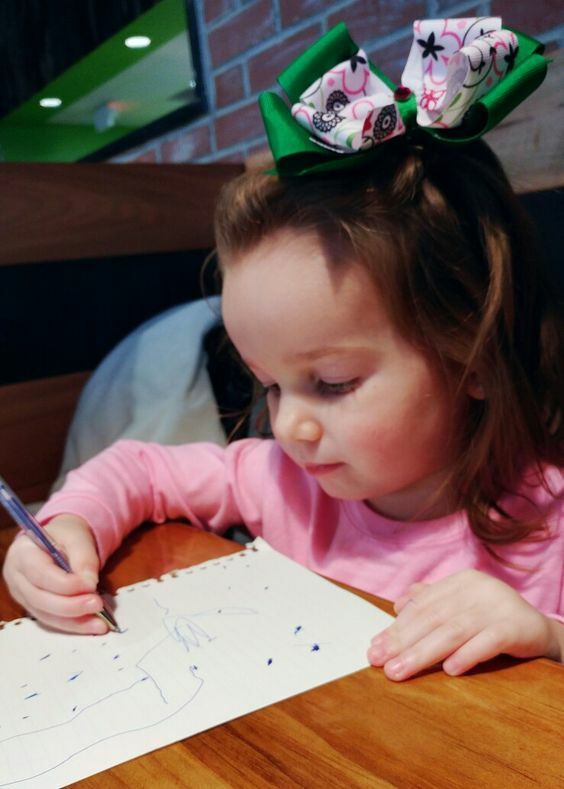 What Christmassy things are on your list of things to do? I have all the decorations up that i'm gonna do and I'm waiting on aa few gifts to arrive but I think I'm close to calling it a season! I'm sure that last week I'll be running around trying to do last minute things! I love You've Got Mail. One of my all time favorite movies. On Sunday I stayed in PJ's until I showered and put on different PJ's. I kind of love days like that...especially now that it's cold outside. I just love engagement photos with quilts. I did some wrapping this weekend but I'm not in the Christmas spirit at all! I still have some gifts to pick up and cards to write and mail and it kind of feels like one giant to do list! That last photo of you is beautiful!! Your knitting is amazing. The engagement shoot with the Starbucks cups is the best idea ever - they are such a beautiful couple. I hope you have a holiday-filled week! The photo in the trees with the red blanket is totally awesome. I really love when it's cold enough out that I can buy cold things and not have to rush home. Silver linings to cold! Pretty much the only thing I got accomplished this weekend was bringing up more Christmas decorations from the basement ... but they're still sitting in a pile on the floor. I think I need a few days off from work but NO wi-fi or internet service at home ... no distractions at all so I can finish cleaning up/decorating. I love You've Got Mail. Actually, I love all the Meg Ryan/Tom Hanks movies, but that one's my favorite I think. Health insurance is worse than the Grinch -- he changed his ways at the end and I don't see the health insurance companies changing anything on how they work/cost. :( Stinkers. I can imagine that Operation Health Insurance got intense. BUT, now that the decision is made, I hope it brings some calm. If for no other reason than it's done. And it now is what it is. Though I know no matter what you made the best choice available. Also, yes. The only good thing about cold weather. Groceries can stay in the car, and I start using the garage floor as a second fridge & the back porch as a freezer when the regular one gets too full. I love that picture of you!! You look stunning. Love that scarf. You are so very talented. We went tree shopping last week and never could find one we wanted. Finally found one online this weekend and it is supposed to be delivered tomorrow. So decorating coming soon. We went and saw a beautiful light display Friday night and Saturday night we ate popcorn and watched White Christmas. That was our exciting weekend. I think about Christmas exactly three days before. I have Amazon Prime, so no reason to start thinking of it any earlier! Love that cowl! You've Got Mail is one of my favorite movies. Every time I see it's on TV, I have to watch. I love her bookstore so freaking much. Ummm ... I act like Christmas is 3 months away versus 3 weeks. Granted, I can't do much here but I haven't dealt with Christmas cards or even really thought about what to get people. Feeling lazy, I guess! I love it when I find a favorite new restaurant too - I get a little obsessive about it! LOL! Love the new items you knitted. I love scarves but they just don't look right on me, which is not fair, at all. You've Got Mail is a great movie background noise :) Man I can't believe Christmas is 3 weeks away, like what the what?! Picking health insurance is a nightmare. But hooray for it getting done! Despite feeling behind on Christmas, I think you're actually on point with the whole spirit of the season. Catch my weekend recap on my post today. I got our tree decorated, other decorations done and our Christmas cards ready to go!Rebecca Jo, you are a very talented photographer! Great engagement photos! I love that yellow cowl. Yellow is my favorite :) I'm also glad the health ins. debacle is over for you. I have a band-aid on mine for the moment... Hopefully finalizing that crap this week. Ugh! I got one of the Starbucks extra perks too. It was for 3 macchiato drinks and I did that last week. My first one ever too. I am so glad you made the decision on the health insurance. And the stress of that can melt away now. Love the photos and the relaxing day of pjs. We did that unintentionally on SAturday too. Girl, your "slow" weekends involve way more than my busy ones (even when I'm two-legged). 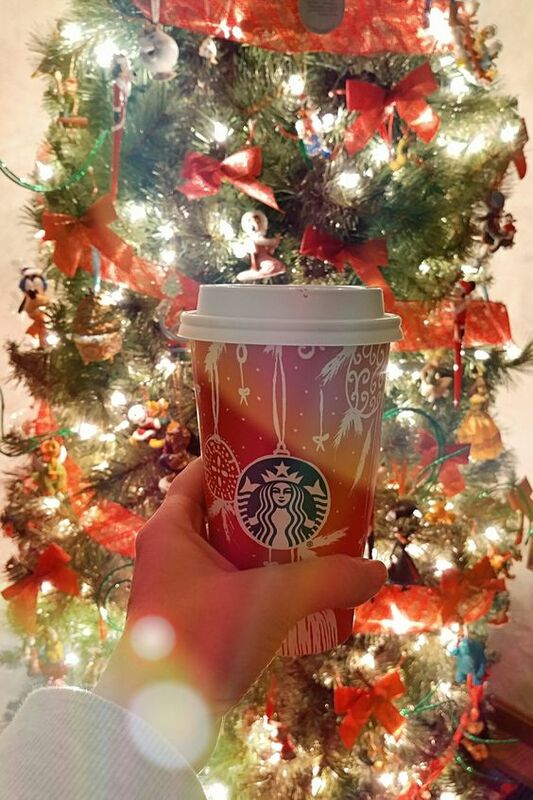 Love the way that photo with your Starbucks cup and tree turned out! Gorgeous!! I knew you were talented at knitting, but how did I miss until now that you have an etsy shop? Oh sometimes you just need one of those days / nights where you stay in PJs and forget the world. I LOVEEE your hat and scarf. I am loving mustard / dark yellow right now and have just bought a couple of shirts in that shade.